I’m not a fan of advertisement, be it on a website or in some application. For websites, we have quite a few options by now – I currently use uBlock Origin. 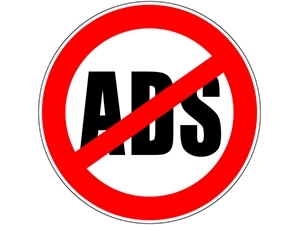 But when companies include ads in an application itself, the options to block it, get a bit more complicated. I’m still one of those people that end up using Skype on a near daily basis and for our family chats we tend to use Viber, mostly because it offers a nice desktop client and I guess because of the stickers… Both of those applications show ads from time to time within their clients. The easiest trick to block said ads, is to simply deny the loading of the advertisment. This can be done with making the domain name not resolve properly. These two tips and various other things, can be found on my website on the Power User page.